Hi, welcome to Tuesday! Snowing again. I'm off to work today, so hope the driving isn't bad for the ride in. Today's card is a stamped image from my Canadian friend, Karen, I'm sorry, but I don't know whose stamp it is, but she is a cutie. I colored with Copics. The oval is cut with a Spellbinders die. The side panel paper is Basic Gray. Used White glittered paper to simulate snow. Her earmuffs and fur trim on her dress are flower soft in white sparkle. The snowflakes are a MS punch. I pierced each scallop on the oval. Dotted the snowflakes with a Sharpie Paint Pen in white. Sentiment is My Sentiments Exactly. Close up of sweet ice skater. A great card and I love the paper combination. 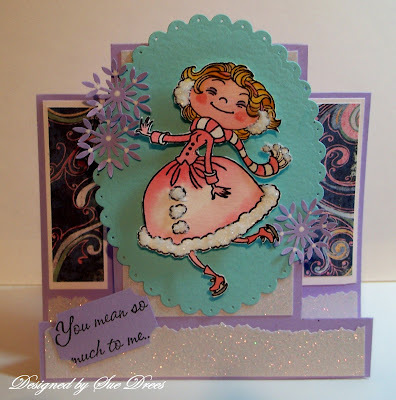 Lovely card with pretty colors. Those snowflakes are so delicate and pretty! Oh she is too cute! I would have to say this card is VERY suitable for the weather we are having! But I am glad SHE is happy!LOL You have done an outstanding job here!LOVE IT SUE! Just to let you know it's a Kraftin Kimmie - Moonlight Whispers Antoinette. 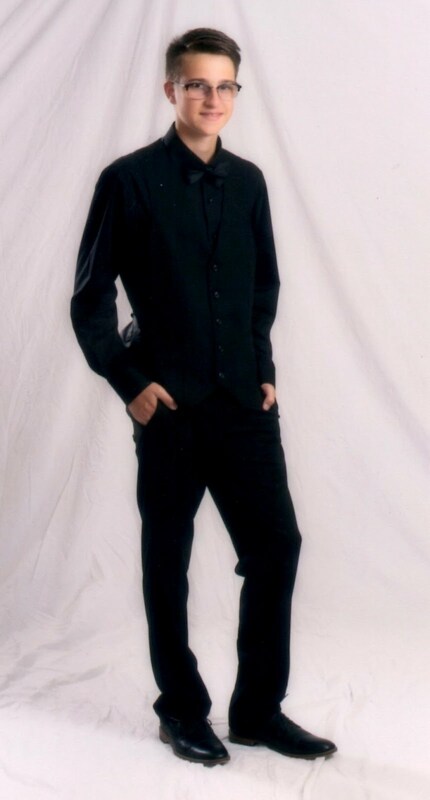 When I saw your card I knew the style. 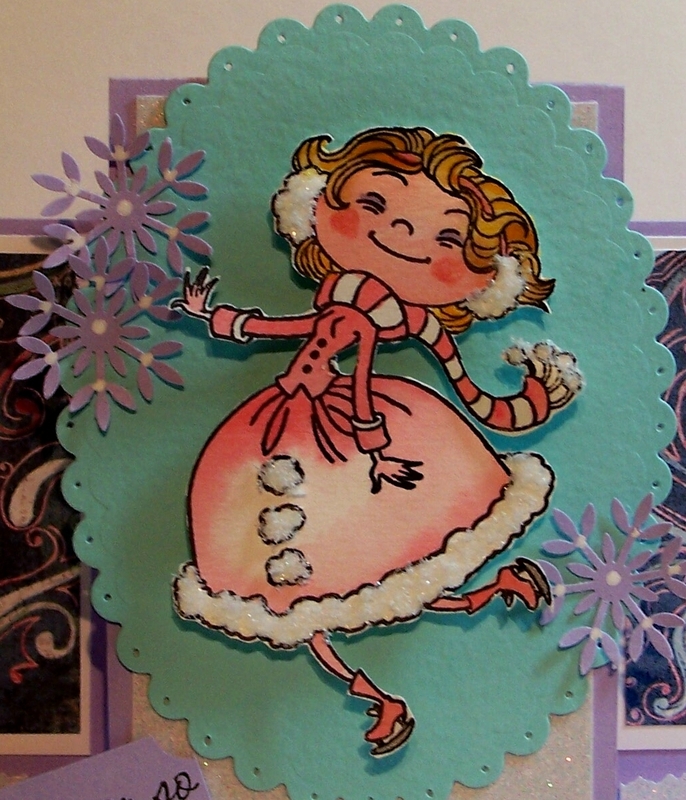 Love her ear muffs & your card construction is so effective with the image. Delicious snowflakes too. Love your take on 'my' image. So glad you liked it. 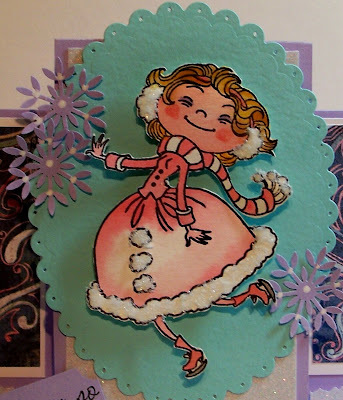 She (Antoinette) is my fav winter gal! Great card!